Waterbury-Feb. 20-Ichabod Thomas, who resided in the Scrabble Hill district, died last night, after much suffering from cancer of the face. Prior to that illness he had been seriously afflicted with asthma. 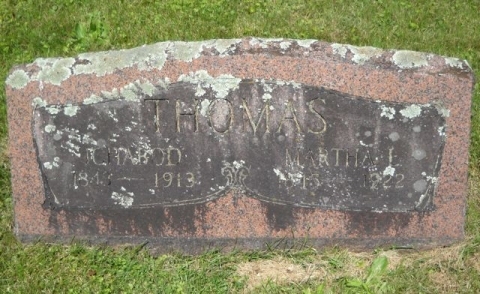 Mr. Thomas was a farmer by occupation, and was 67 years of age. He leaves his wife and three children, the latter being as follows; Mrs. Verona Thomas, Mrs. George Conant, and Wilder Thomas, all of Duxbury. The funeral will be held from his late home Saturday afternoon at 12:30, and interment will be in the Duxbury Corner cemetery.